TUF Gaming motherboards offer easy and safe DIY builds by leveraging great design, innovative engineering, and strong partnerships with major component manufacturers. 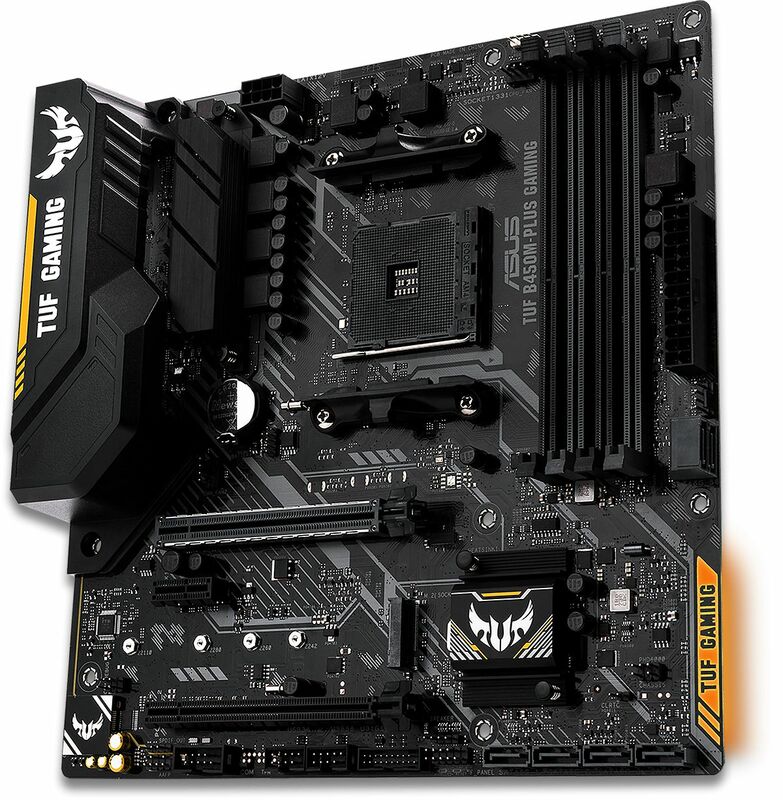 TUF Gaming motherboards are specially designed and tested to survive and thrive in conditions where other boards would struggle. Engineered with highly durable components, these motherboards deliver unwavering stability for any session that last as long as you demand. System temperatures are key to a stable gaming rig ― especially GPU temperatures. 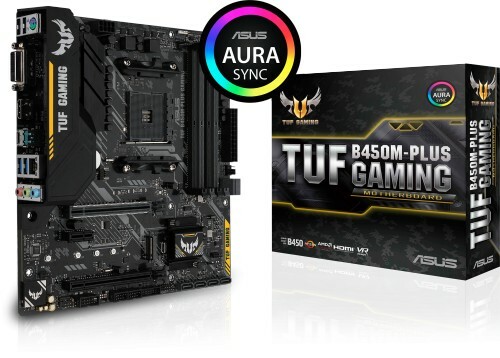 TUF Gaming motherboards include Fan Xpert 2+ software that's able to intelligently control system fans based upon the input of multiple sensors, including the temperature of an ASUS graphics card. This ensures that your TUF Gaming system stays perfectly cooled. With FAN Xpert 2+ you're able to control system fans based on inputs from up to three temperature sources. For example, FAN Xpert 2+ can be set to spin up the chassis fans in response to the GPU temperature. So, when it heats up, additional cooling kicks in — just when you most need it. Choose your temperature sources and thresholds, from motherboard and CPU to GPU, and leave FAN Xpert 2+ to do the rest. Hone your battle skills with exclusive DTS Custom onboard audio. Utilising advanced emulation techniques to create positional cues via stereo headphones. DTS Custom takes onboard audio to a new frontier. With three presets ― Aerial, Soundscape, and Tactical ― for different genres, you'll have a distinct advantage in every game. With a backward-compatible USB 3.1 Gen 2 Type-A, you'll experience ultimate connection flexibility and blazing data-transfer speeds of up to 10Gbps – or twice as fast as USB 3.1 Gen 1. *The M.2 Socket shares bandwidth with the SATA_5/6 ports, therefore SATA_5/6 ports cannot be used when a M.2 device is installed.